As its name suggests, powdery mildew is visible as a light gray or white dusty coating on leaves, stems, flowers, or fruits. 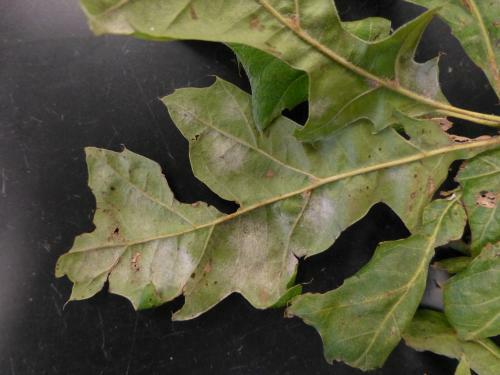 Depending on the plant species, affected leaves may be distorted, and tiny dark dots may appear in the white coating. Powdery mildews can occur on nearly all kinds of plants, including, trees, perennials and bedding plants but ibn most cases, each plant type is affected by a different powdery mildew fungus. For example, the fungus that causes powdery mildew on lilac will not infect roses. Powdery mildew is usually favored by moderate temperatures and humid (but not wet) conditions. It tends to be more severe in the shade and in areas with little airflow. Because of this, putting plants in full sun and cultural practices that promote airflow (such as pruning and appropriate spacing) can help to minimize powdery mildew problems. Keeping plants in good vigor helps them to resist infection. Powdery mildew occurs most commonly in shady areas. Slow or non-existent air circulation, shade, high humidity, and temperatures of 60-70° F are the components needed for disease development. The best strategy for controlling powdery mildew in most plants is pairing the plant with a good site. For example, for lilacs, peony or roses, avoid location with long periods of shade during the day. 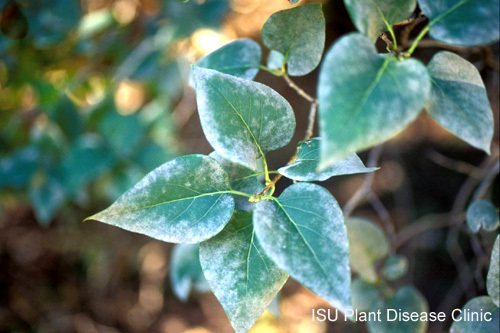 On some plants such as lilac and sahde trees, powdery mildew does not cause serious damage to the plant and can be tolerated. On other plants, damage may be severe and chemical controls may be desired. 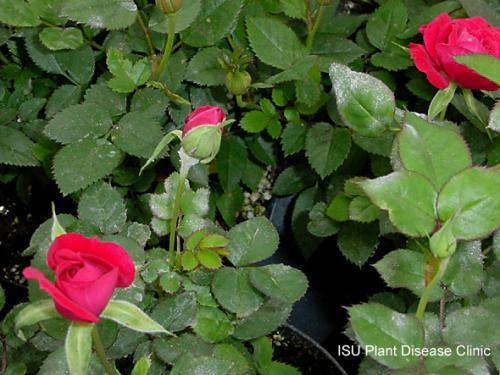 Many fungicides are labeled for use against powdery mildew on ornamentals, but they are most effective when used preventatively (before infection occurs) and good coverage of the plant is essential.